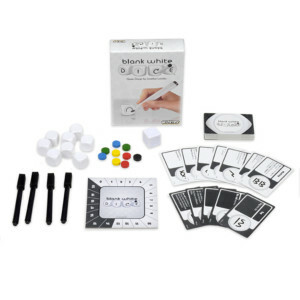 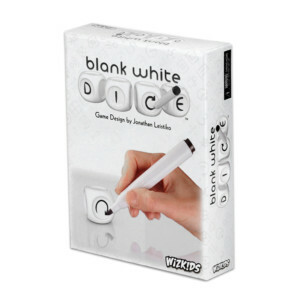 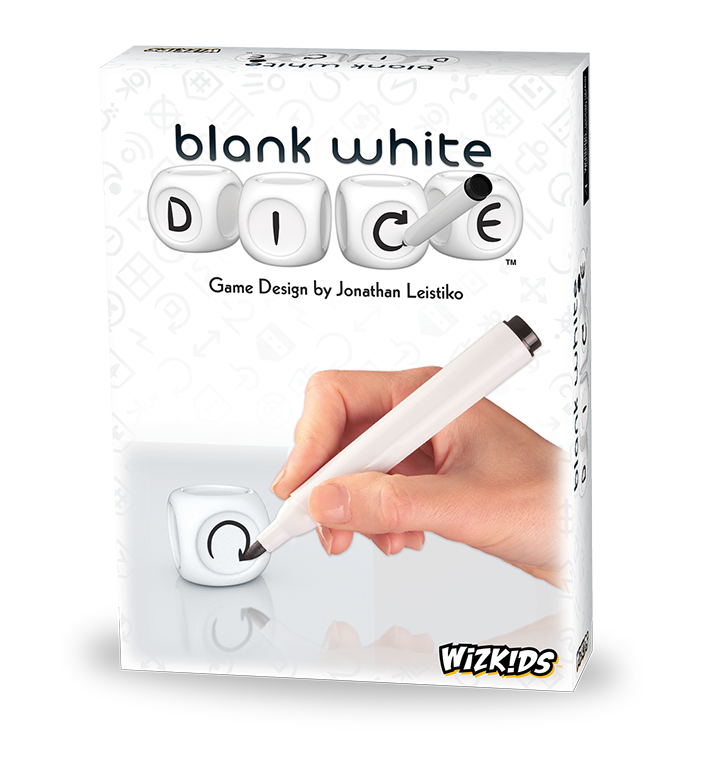 Blank White Dice, designed by Jonathan Leistiko, is a thrilling new take on dice games! 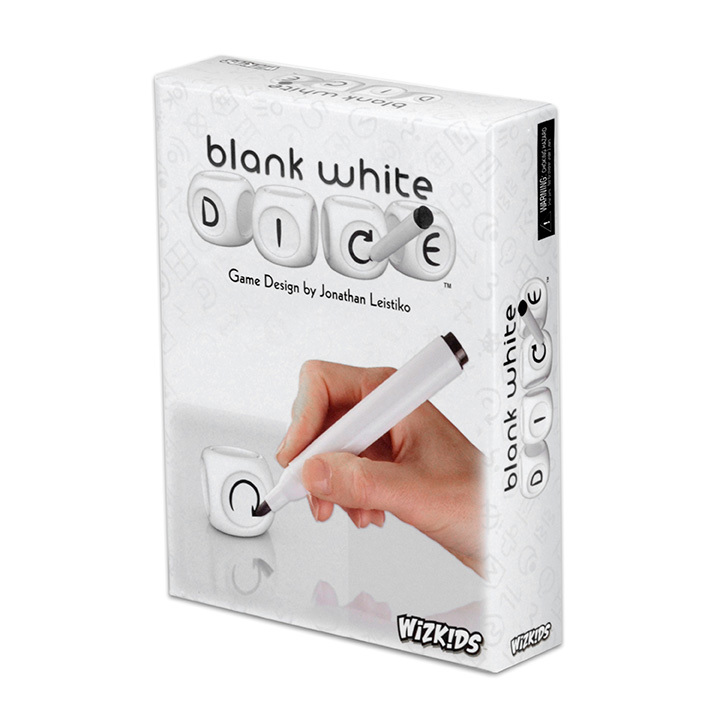 But that’s not all, if a player rolls a blank face, they’ll need to get creative and show their artistic skills by drawing their own icons on the faces of their dice! Some icons will give players points, others may cause opponents to lose points, force competitors to re-roll and much more! The first player to reach 13 points at the end of a round wins the game.